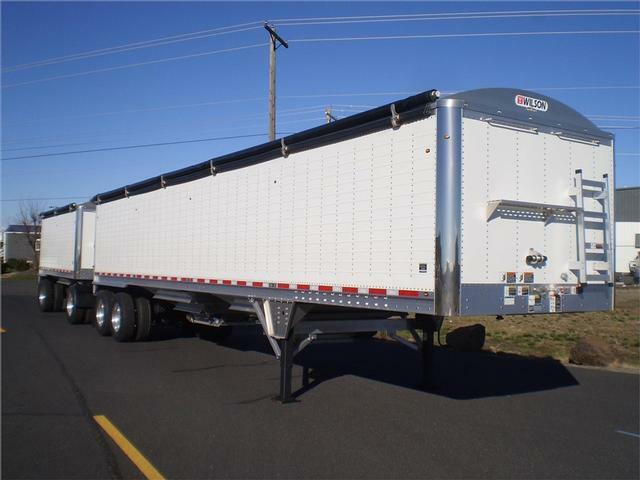 Please contact me regarding the 2016 Wilson Pacesetter 38' Lead 18' Pup A Train - Stock# 183915 183914 for sale at TruckerToTrucker.com. Take a look at this 2016 Wilson Pacesetter 38' Lead 18' Pup A Train. It is Stock# 183915 183914 at TruckerToTrucker.com. Pacesetter, 22" King Pin Setting, Air Guage for Air Ride, Stainless Front Quarter Radius, Black Manual Shurlock Tarp, Vent in Rear Cap of Lead & Rear, Grote Micro Nova Clearance Lights, Front & Rear Walkway, Neway Turn Table, Draw Bar Length is 5' , Draw Bar Jack Stand, 61' Overall Length. Price Includes FET!